Pet Iridology is a new science that undertakes to identify health problems by analyzing the iris of the canine (dog) or feline (cat) iris. This science is relatively unknown around the world and we are one of the few organizations that have pursued substantial research in this exciting area. Cooperating with veterinarians, we have been able to capture an extensive database of both canine and feline irises, along with their associated veterinarian-diagnosed medical health problems. 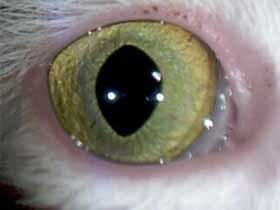 This has led to the development of a new canine and feline iridology chart along with other educational resources including new iridology software and iriscope cameras with lenses designed to capture these animal irises. Taking into consideration the different shape of canine and feline eyes (especially the pupils of the feline), it is now possible for the first time to scan the iris of the dog or cat to determine possible organ weaknesses. This science opens up exciting opportunities for the iridologist who wishes to extend their services to include cats and dogs, as well as veterinarians, pet owners and other individuals who wish to use animal iridology to improve the health status of these domestic pets. The interest in the health of domestic pets has grown tremendously in recent years and this opens up exciting new markets for non-invasive identification of health problems in cats and dogs. 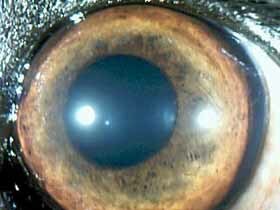 Including pet iridology in your practice can reap many rewards and is an excellent new business opportunity.